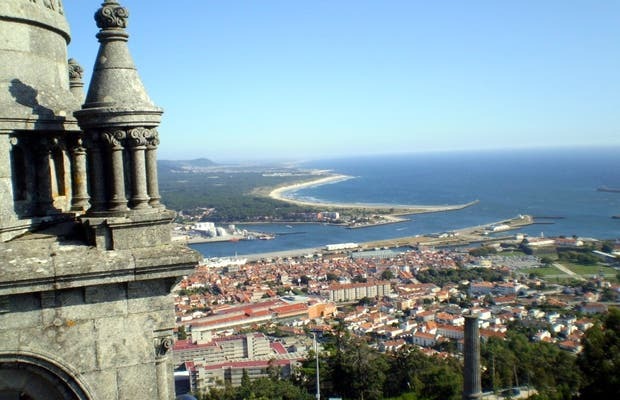 Do you like Viana do Castelo Municipality? If the view from the Mirador de Santa Luzia is impressive, they are even more so if you climb to the top of the Basilica . This is possible thanks to a lift which is accessed from the back of the temple, the raising and lowering costs 2 € but it is definitely worth it. At the top there are two viewpoints, which can be accessed by a small flight of stairs from the elevator landing. From here you can see the entire city and the statue of Lima, virtually a 360 º.